Outline planning application has been submitted to Rotherham Metropolitan Borough Council on behalf of Harworth Group for the remaining undeveloped plots at the Advanced Manufacturing Park in Waverley. 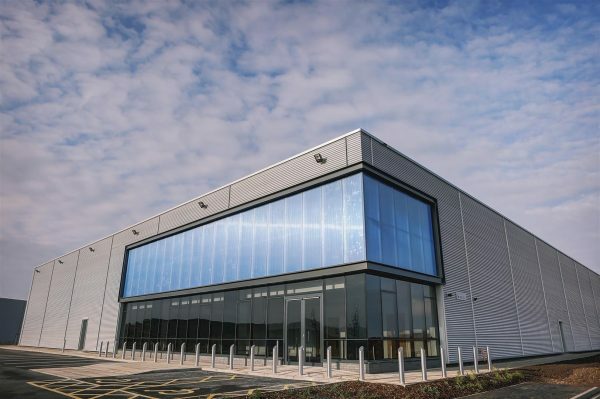 The proposals cover the development of up to 431,000 sq ft of flexible business, manufacturing and office floorspace close to existing occupiers Rolls Royce and Boeing. The wider Advanced Manufacturing Park was granted enterprise zone status in 2011 and it is intended that the park will ultimately form part of an Advanced Manufacturing and Innovation District spanning Rotherham and Sheffield, becoming the leading advanced manufacturing and research area in Europe. A range of buildings designed by The Harris Partnership have been constructed over the past decade, with organisations including the University of Sheffield now based at the park. The latest proposals will enable Harworth Group to bring forward individual plots according to market or specific operator requirements.